If you’re looking for short steep climbs you will be dissappointed by Tan Hill. It is the definition of a long drag to the summit. The 215m height gain is stretched out over 6 miles of exposed moor land. If you get a tailwind you will fly up the gradual gradient. If it is a block headwind, it will be a very long 6 miles. There is a very short section of 10% near the summit, but that won’t be your main memory of the climb. It is the long never-ending climb up the moor. 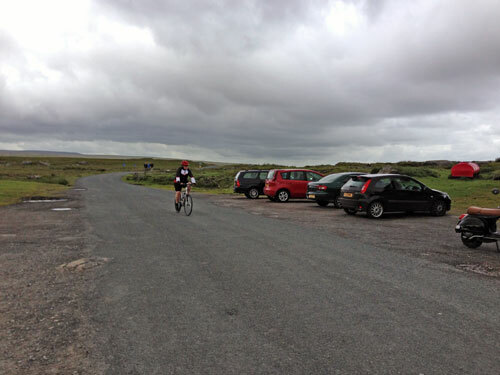 I rode Tan Hill after quite a few other Dales climbs, such as Buttertubs and the Stang. There was a strong north westerley headwind which made the going very slow. 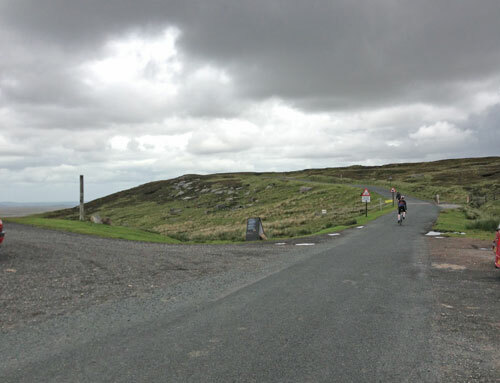 There is a open hill climb event run on Tan Hill, it is a good hill climb for a time trial bike if you want to get the fastest time. It also features in the Etape du Dales sportive.